Come along and join in a wonderful evening of music at this festive event. 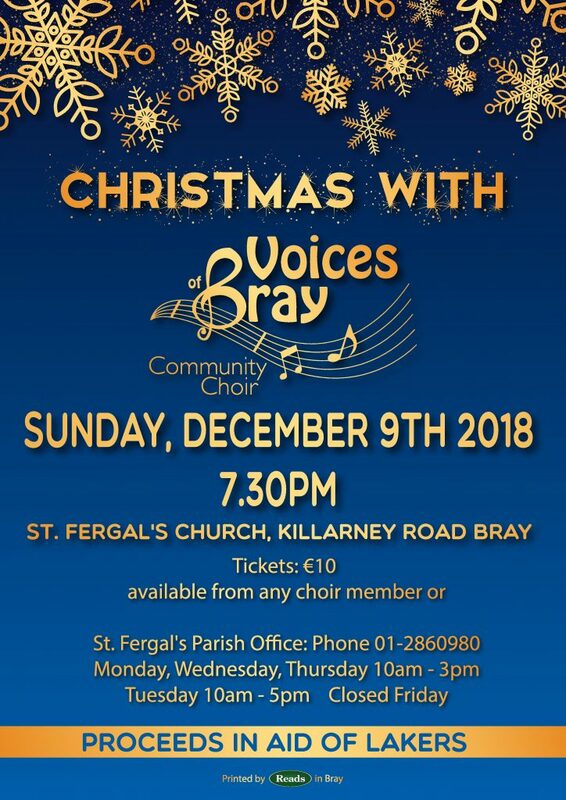 Christmas with Voices of Bray Community Choir will take place on Sunday 9th December at 7.30pm in St Fergal’s Church Killarney Road, Bray, Co.Wicklow. Tickets €10 and are available from any choir member or St Fergal’s Parish Office 01-2860980 Mon, Wed & Thurs 10am-3pm or Tues 10am-5pm. All proceeds will go towards Lakers building fund.